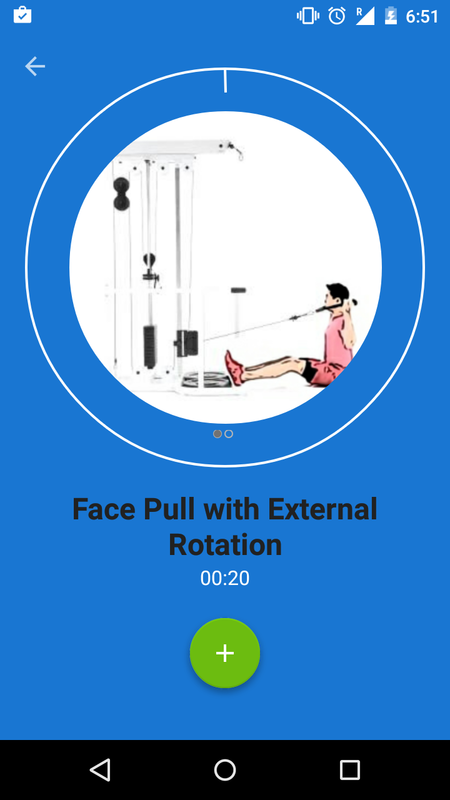 Fitness Workouts by Mobile4Health is an app to work out various body parts. It has a dedicated set of training routines for each part of the body. The Android app is free and this review is for version 2.1 in Android 5.0.2. 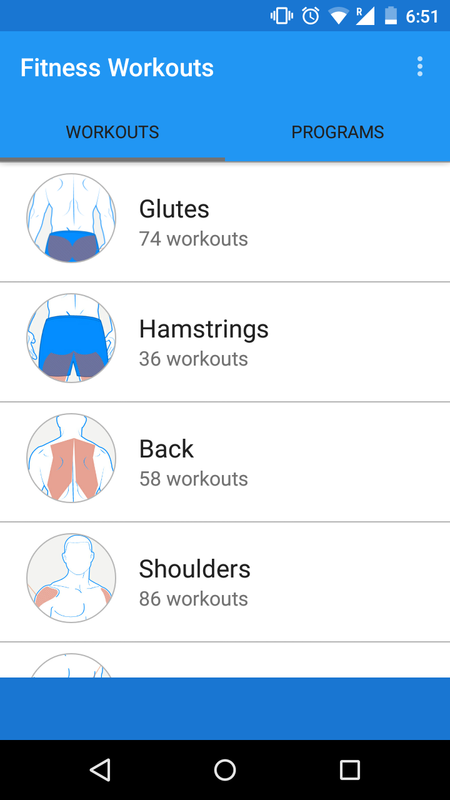 The home page of Fitness Workouts app shows you list of body parts to train. Each body part has a list of common exercises. Each exercise is accompanied by a simple gif-like animation to explain the routine. The app requires you to set a workout program for yourself. It lets you assign a day for each exercise. For some reason, Fitness Workouts app does not allow you to select multiple days for an exercise. Being a free app, it comes with a lot of ADs. During the review, 2 full screen ADs came up for one routine. Fitness Workouts app is more of an information app. It does not have any training programs. It comes with basic training assistance. The list of exercises for a day can be accessed in the ‘Programs’ tab on homescreen. There is voice assistance to begin the day’s routine and switch from one exercise to other. 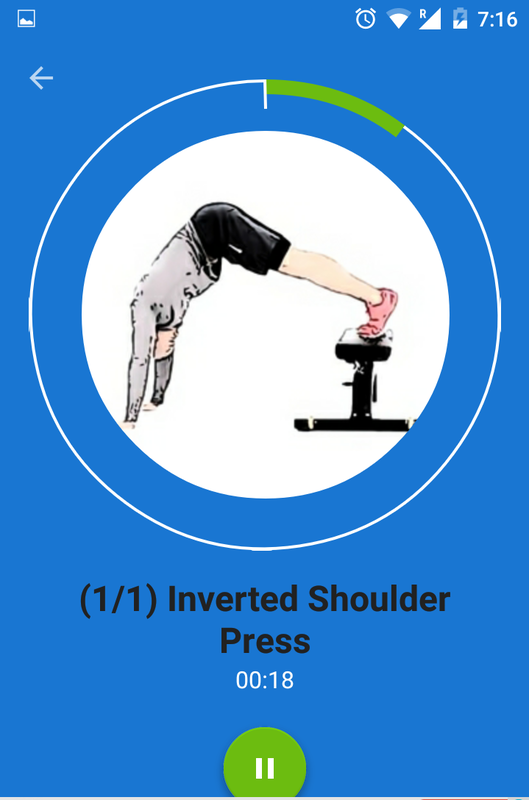 The app does not provide seamless ways to have multiple sets of the same exercise.. The Interface is largely simple and navigation intuitive. Use of images make it a relatively light weight app in the category. The colour combination in ‘About’ page though needs to be looked at. Fitness Workouts is a very-early-stage app. It requires a number of features to be added to compete with the top players in the space. The top apps in this category set high standards for interface and features. The quick loading gif-like animations is the bright point of this app. Lower end phones which find fitness apps bulky may see a value in this. The application is available for download at Google Play.